imagesthai.com royalty-free stock images ,photos, illustrations, music and vectors - Vector set of templates invitations or greeting cards with flowers, roses and watercolor elements on a wooden background. 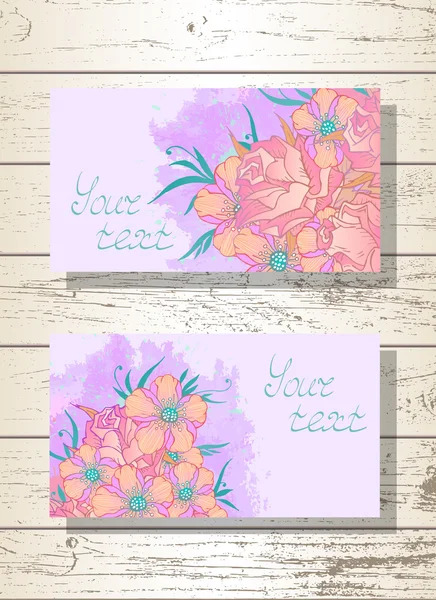 Vector set of templates invitations or greeting cards with flowers, roses and watercolor elements on a wooden background. S 364 x 500px 0.5 Mb. M 727 x 1000px 2 Mb. L 1455 x 2000px 8 Mb. XL 3333 x 4583px 15 Mb. Vector set of templates invitations or greeting cards with hand drawn flowers, roses and watercolor elements on a wooden background. Collection of templates in pink and light blue colors.